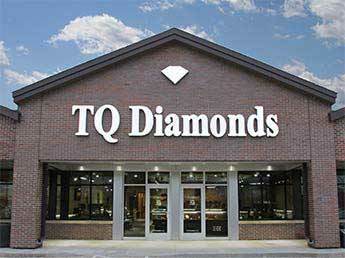 TQ Diamonds Celebrating 30 years! TQ Diamonds, located in Madison, Wisconsin, specializes in fine quality custom designed jewelry and excellent / ideal cut diamonds. The unique jewelry pieces that are found in the store are either handmade on the premises or hand-selected from some of the most exclusive jewelry designers around the world. TQ Diamonds exclusively represents jewelry designers such as Tacori, Verragio, A. JAFFE, Gabriel & Company, Steven Kretchmer Tension Settings, Christian Bauer Wedding Rings, and many more. Along with our stunning jewelry, we offer a full service repair shop in-house, three Graduate Gemologists for on-site appraisals, Free ring cleaning/inspection, Free gift wrapping and Free Financing. We pride ourselves on our extensive selection of GIA Certified loose diamonds, if we don’t have it, we can get it for you! We have recently expanded our long standing Westside location to provide you double the size, service and selection that TQ Diamonds has to offer. Please take a few minutes and view our site. We hope you have a pleasant experience and learn something along the way. Remember to stop in the store when you can, as the jewelry selections change often. Quality is never taken for granted at TQ Diamonds, we still do things the old fashioned way - we'll earn your business every step of the way - you'll love your experience at TQ Diamonds and you'll love your jewelry! Guaranteed! Celebrate your anniversary, birthday, or special occasion with a "one-of-a-kind" piece from the skilled and award winning artisans at TQ Diamonds!